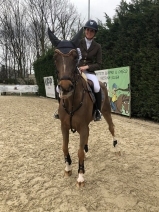 First victory and first GP victory in 2019! 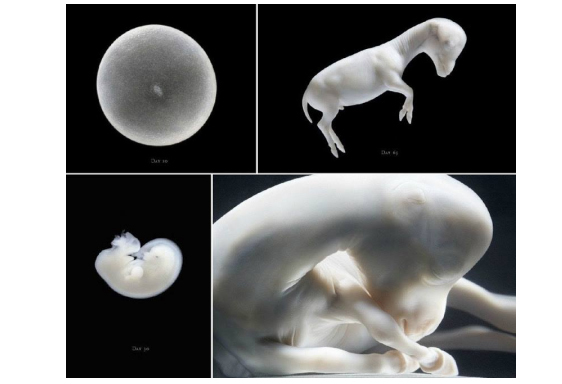 The first 7 foals of 2018! 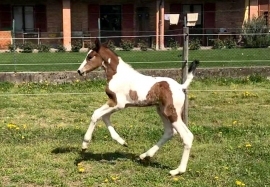 FIDELGO DU HOUSSOIT - top stallion under the colors of "Stud San MArtino"! 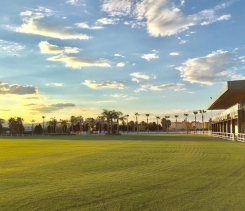 2018: a good start in the new season! MARTINA IS IN THE NATIONAL ELITE TEAM FOR 2018! S.M. 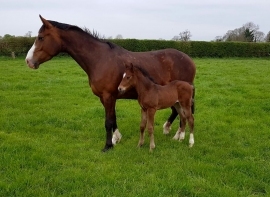 TYCOON (Tyson x Cascari) the foaling season 2017 starts with a blue bow! AMAZING START IN OUR 2017 SPORT SEASON! 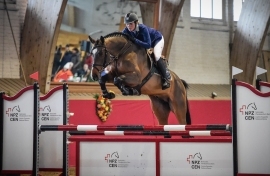 NIRMOO DE MUZE Z "Hengste in Bern 2017"
MISS SWISS: GOOD RESULTS FOR OUR STALLIONS' DAUGHTERS! 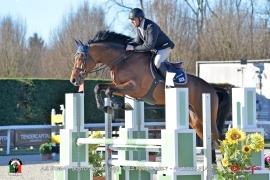 CASSIRADO (Cassini I x Acorado) placed GP155! 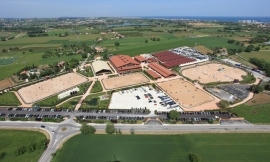 4 weeks of shows at the "Horses Riviera Resort" in San Giovanni in Marignano! 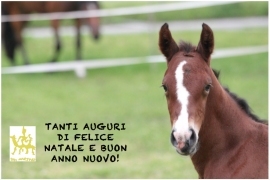 We're waiting for 7 foals in 2016! 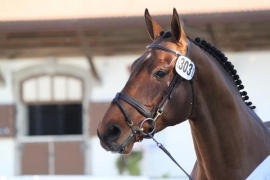 Let's have a look at the pedigrees! 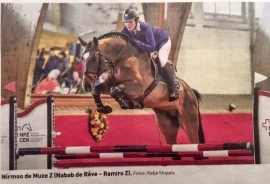 Nice presentation for NIRMOO DE MUZE Z in Bern! 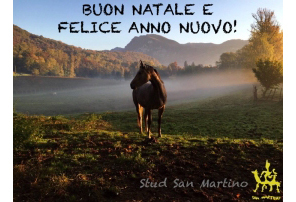 Team "San Martino" wishes you a merry Christmas and a happy new year! VISITING OUR YOUNGSTERS IN IRELAND! 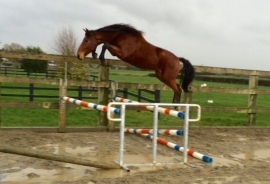 A speedy but very interesting visit to our youngsters in Ireland! 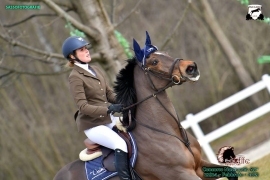 NIRMOO DE MUZE Z and BUTTON SITTE approved CH! 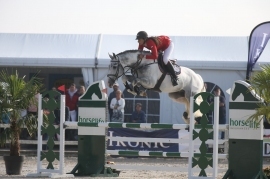 The approval of sport stallions took place in the beautiful structures of Haras National of Avenches from November 13th to November 15th 2015. 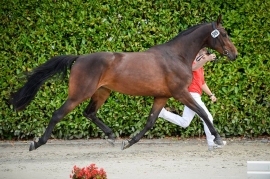 Among the eleven stallions who were presented, two came from our stables and both of them gained the consent of the jury to enter among the official Swiss Studbook ZVCH / FECH. 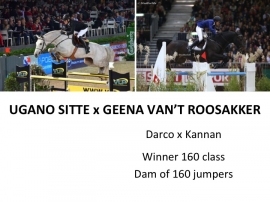 They are NIRMOO DE MUZE Z (Nabab de Rêve X Ramiro), 3 year old Zangersheide stallion and BUTTON SITTE (Ogano Sitte x Parco), 8 year sBs stallion, already approved in Belgium. 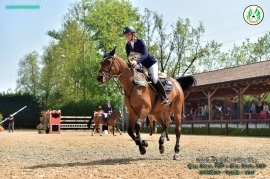 A positive result for the STUD SAN MARTINO, which can not only offer great sport horses, but also high-quality breeding stallions, coming from interesting European lines. 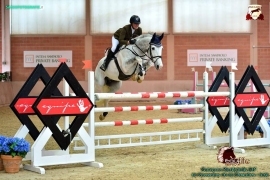 12 horses went to Oliva Nova (E) for 3 weeks of competition at the Mediterranean Equestrian Tour! 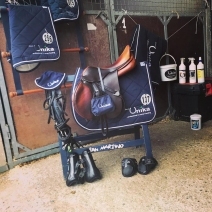 Martina and Clint will defend the San Martino Stud colours during this important international sports meeting! 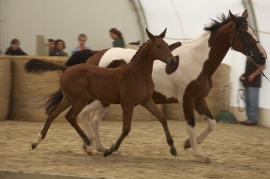 TWO S.M FILLIES AT THE SWISS FOALS CHAMPIONSHIP! 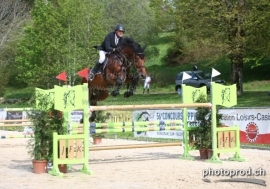 Also this year two of our horses took part to the final of the Swiss sports foals championship. PLACEMENT IN THE GP150 CATEGORY FOR BUTTON SITTE! 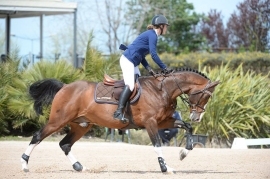 The 8 year old stallion, BUTTON SITTE, (Ogano Sitte x Parco x Aramis de la Cense) gets 4th place in the Grand Prix 150 category at the A****** National competition (10th to 12th June 2015) in San Giovanni in Marignano! 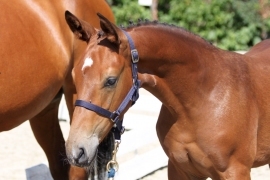 On Tuesday August 25th, starting at 14:00, the annual competition for half-breed foals will be held. Please come along! NEW LOOK FOR OUR WEB SITE! 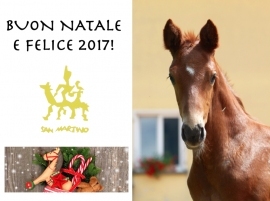 On this page you will find all the information on the various activities of the San Martino Agribusiness as well as the San Martino Services and the San Martino Stud! ... Ready for a virtual tour ...?